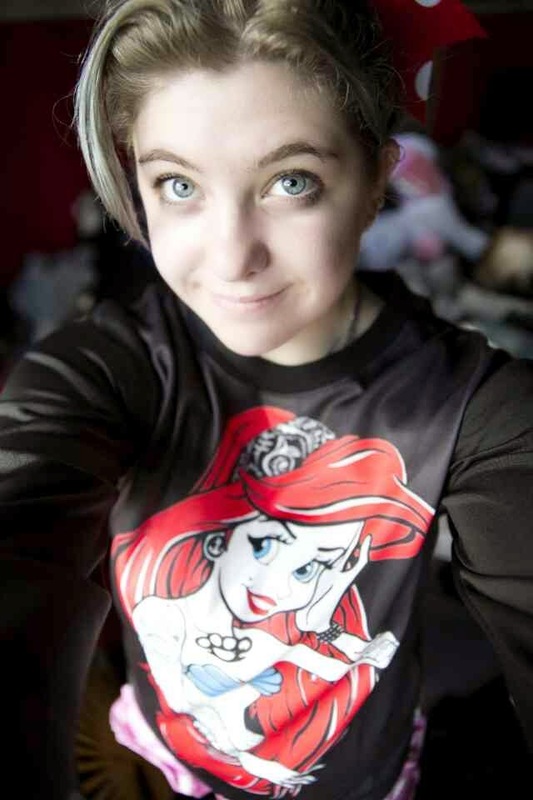 _: little 'rebel' mermaid sweater review! 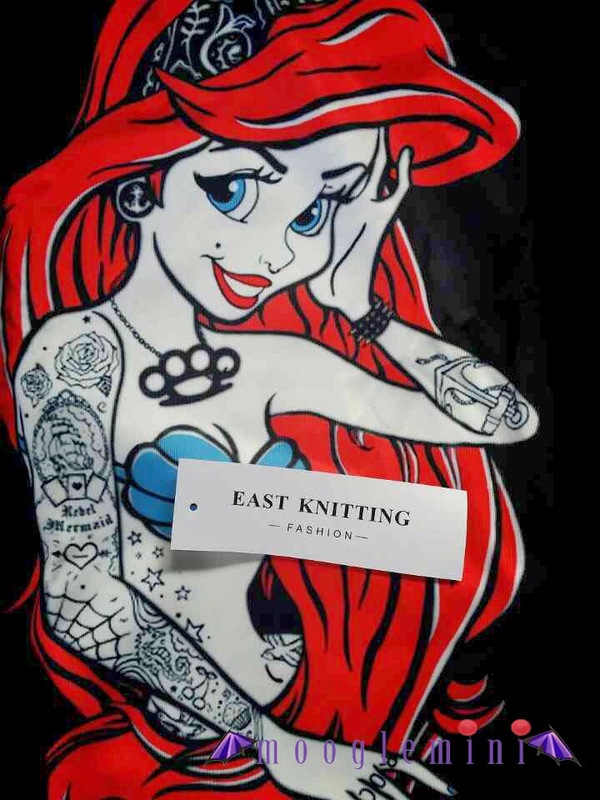 little 'rebel' mermaid sweater review! 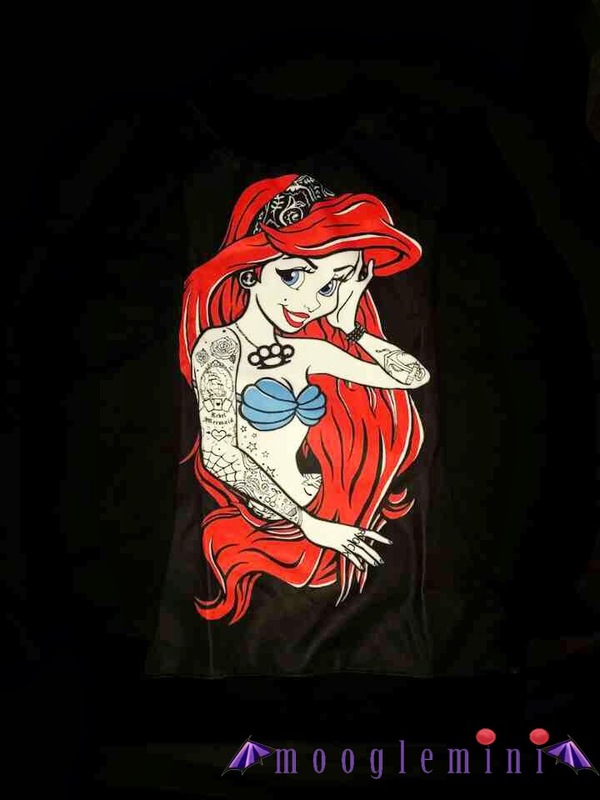 this is a review of my newest mindblowingly awesome jumper! 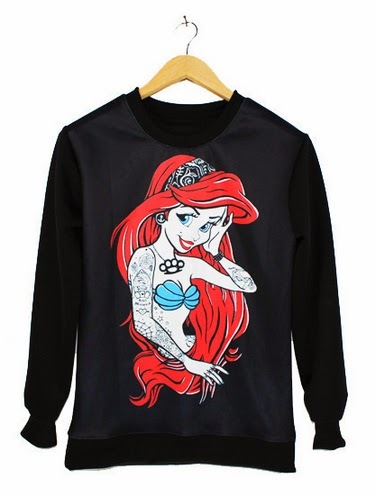 and you may remember (or not) i've bought from them before and loved it - so i returned and finally purchased this jumper which i've had my eye on for a while! i bought in a size L so it would be cosy and the sleeves would reach over my hands for extra warmth - mmmm snuggly! however, despite buying a size L it's a bit smaller than how i'd imagined and hoped... it's most likely because of the difference in sizing internationally and i'm not exactly as small as i wish i was... but hey, who is these days? anyway, let's get some product pictures goin'! wew! 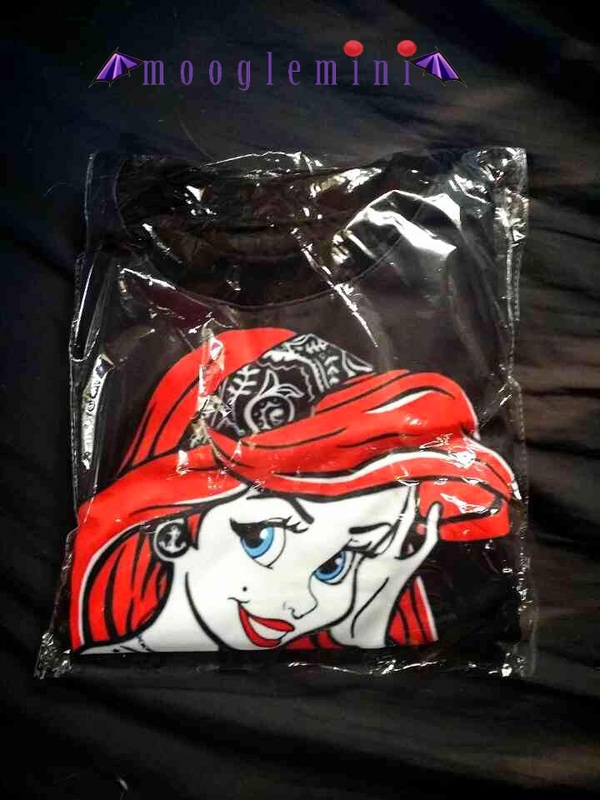 doesn't it look so great?! *geeking out* i'm super impressed with the quality of this pullover! + sorry for the lame picture -> my sheets are black and the jumper is black and you just see what's happening ahahah derp. 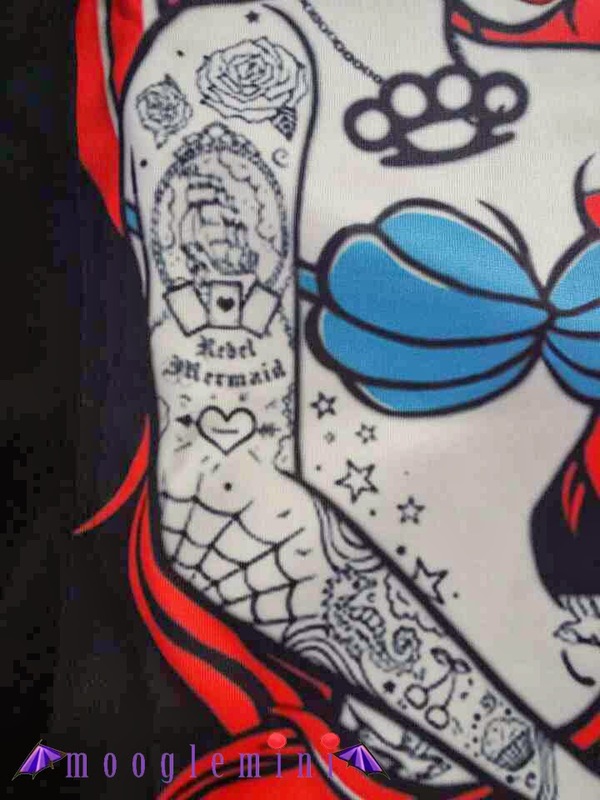 my favourite detail of the product is the tattoo that says "Rebel Mermaid" because it's just so perfect for Ariel for obvious reasons - but still... gets me every time! anyway, that's all i really have to say in this review of the jumper. i ordered the wrong size. now more products still on their way and i have some complimentary lashes to review also!